If you are paying attention to my Irish dance diet, you may have noticed how slooowly the weight is coming off. I am not discouraged though, because I've been converting fat to muscle. Go me! I'm getting so close to my goal and you know what that means? A solo dress! My oldest son (who is also in my Irish dance class) says that he can't imagine me in a solo dress. That's ok, buddy, I can! 1-Summer is a great time to get in good shape. It is easier to exercise in the summer because the weather is nice and we are more likely to get outside and be active. The sun sets later, and there are more hours in the day. It is easier to drag yourself out of bed in the morning if it is light outside. Swimming, hiking, biking, walking, running, dancing, whatever you love, get out and do it! 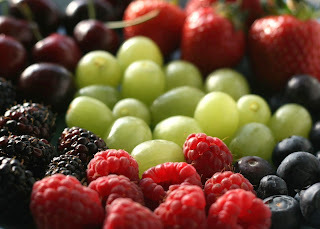 2-Summer fruit is such a luxury and can feels like a treat to the dieting you. Strawberries, blueberries, apricots, peaches, apples and cherries! Is your mouth watering yet? You do much better on your healthy eating lifestyle if you feel satisfied, and fruit can help you fill that void. 3-Summer-wear can motivate you to keep on target. You want to fit into your swimming suits when summertime comes around, not to mention those cute workout shorts that help you cool off while you are working out. Use those goals as an incentive to motivate yourself to stick to the routine and nutrition that helps you look and feel your best. How does summertime motivate you to take better care of yourself? You know that I love cooking, and books, and well, cookbooks. 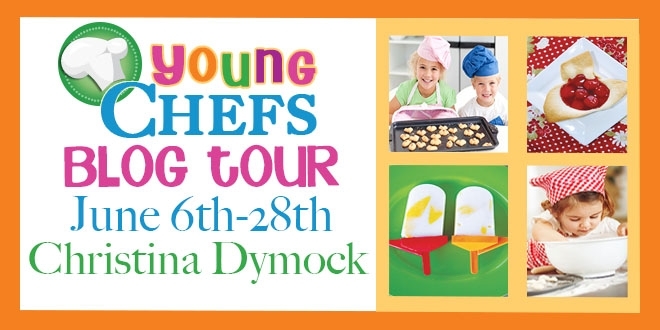 So I'm thrilled to show you this fun cookbook that is just in time for summer cooking fun with your kids! Young Chefs by Christina Dymock is full of great recipes that you can make with your kids, and some they can make on their own! I looked through the cookbook on my own and appreciated how colorful and well-designed the layout is. Each recipe has color photos, a list of tools needed, and easy to follow instructions. Right now I'm following a diet that balances carbs and protein, so I appreciated that there were many healthy recipes included. I can't wait to add some of those recipes to my menu! So big thumbs up on this cookbook! I highly recommend it for summertime fun! You can purchase Young Chefs here. 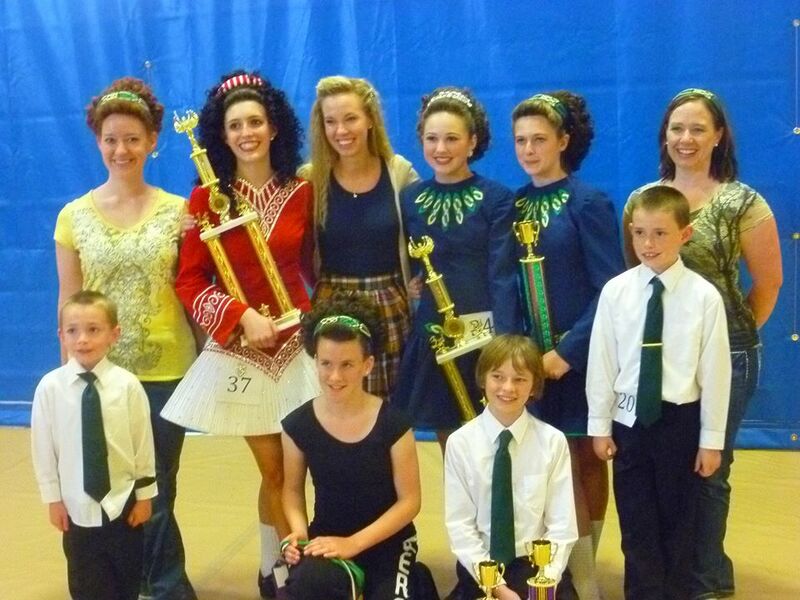 Irish dancers enjoying themselves at the first WIDA open feis in North America. On May 18, 2013, Irish dance schools in the Western United States came together for the first WIDA (World Irish Dance Association) competition in the United States. WIDA is a fairly new Irish dance organization, based out of Europe, and focuses on organizing workshops, competitions, and examinations to help promote interest in Irish dancing, language, music, and culture. In recent years, schools involved with WIDA have popped up in North and South America. The Utah Legacy Open Feis is the first competition to be held in the United States. 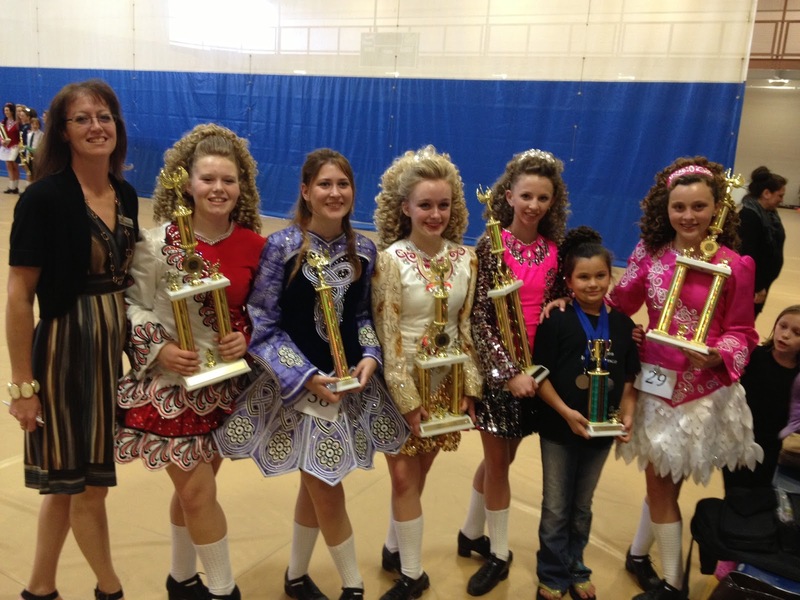 The open feis, held in Syracuse, Utah, was hosted by the Legacy Irish Dance Company. 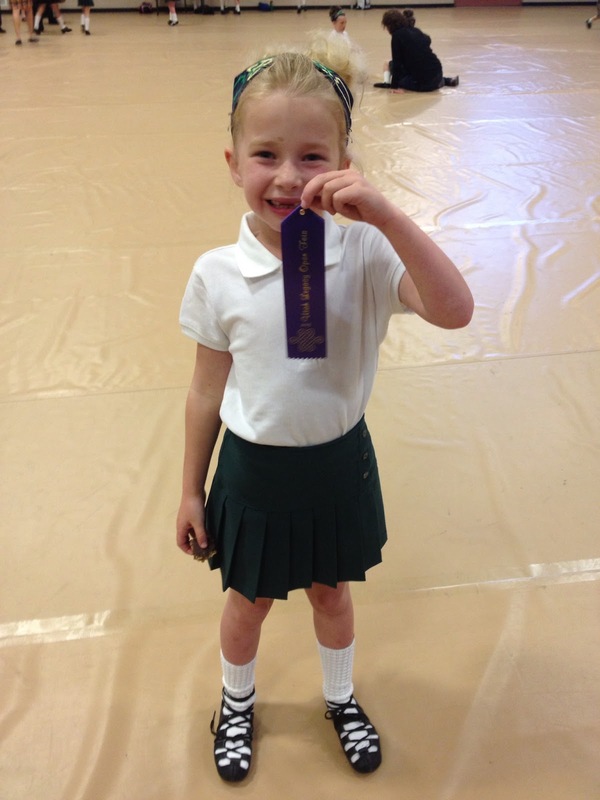 An open feis encourages Irish dancers from any organization to attend. Victoria Lambourne, TCRG (certified Irish dance instructor) at Legacy Irish Dance Company is amazed at how smoothly the event pulled together. Lambourne says, "The competitors were extremely supportive and encouraging of each other which lead to a positive, relaxed, yet competitive feis atmosphere." Lambourne recently attended the WIDA World Championships as an adjudicator in April of this year. 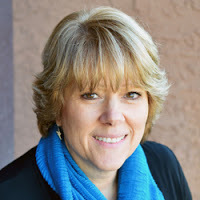 Her perspective on teaching, coaching and dancing changed after attending this international event. "My whole perspective on the dancing completely changed after judging, especially such a huge event with such talented dancers," Lambourne says. "It gave me a greater, more in depth appreciation for the dancing." When the Legacy Irish Dance Company joined WIDA in 2012, they began making plans for hosting a competition near them with the help of Tir Ruaidh Irish Dance Company in California. Soon, a date was set. Girls came by the busload to compete at the pioneering event. Parents and students all agree that the feis was a very positive, calm and fun event. Solos in all age groups were held at the Utah Legacy Open Feis, including a Jump 2, 3 competition for toddlers, and Championships for older ages. Adults were thrilled to be included in the competition according to the level of their ability. 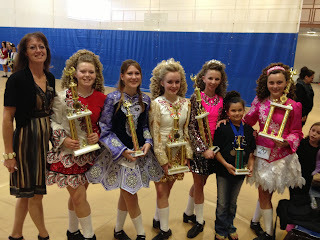 Premierships by age level, and a treble reel competition motivated the Irish dancers to do their best. 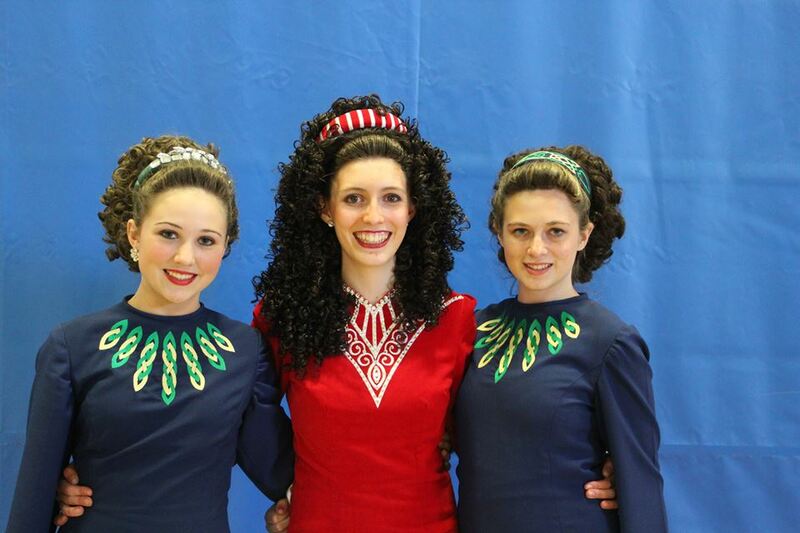 In thinking about the future of Irish dance in the United States, Lambourne hopes that many of her students will go on to open schools in the future. "I would also love for the surrounding schools to be more involved with each other,"says Lambourne. "We can be more unified, regardless of what organization, to help promote the dancing that we all love." 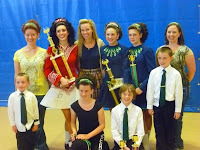 Plans are already in place for hosting the Utah Legacy Open Feis next year, and the Tir Ruaidh Irish Dance Company will be hosting a competition in October, 2013. We're celebrating the launch of I, Spy, and I'm thrilled to be on the blog tour. Read on to find out more about the book, get a cool spy tip for your daily life and download a free gift! Then find I, Spy on Amazon, Kobo, and JordanMcCollum.com! Canada is probably the last place you'd expect to find an American spy. But even idyllic Ottawa has its deadly secrets and so does CIA operative Talia Reynolds. She can climb through ventilation shafts, blend in at the occasional diplomatic function, even scale buildings (small ones). But there is one thing she can't do: tell her aerospace engineer boyfriend Danny about her Top Secret occupation. It worked for a year, keeping Danny in the dark, keeping him away from danger, keeping her secrets. And then Talia finally catches a hot case: Fyodor Timofeyev. Russian. Aerospace executive. Possible spy? She can make this work, too until Danny needs her at the same time her country does. And when Fyodor targets Danny? Suddenly her schedule isn't the only thing suffering. Now to save her secrets and her country, Talia must sacrifice the man she loves. More about I, Spy | Add I, Spy to your Goodreads to-read list! The edge-of-my-seat undercover operations kept me turning pages, and just when I thought the story would go one way, plot twists sent it down another path. Thrilling, adventurous, and romantic, this book has it all for an Alias fan. Jordan McCollumís debut novel is a delightful combination of mystery, action, and romance. Taliaís CIA training and almost OCD caution feed her quirky humor while exposing her very human fears and insecurities. Add in her boyfriend Danny, and it's enough to twist your heart. Clever, suspenseful, and charged with political intrigue and romance, I, Spy is the perfect combination for a fun and captivating read! An award-winning author, Jordan McCollum can't resist a story where good defeats evil and true love conquers all. In her day job, she coerces people to do things they don't want to, elicits information and generally manipulates the people she loves most, she's a mom. Jordan holds a degree in American Studies and Linguistics from Brigham Young University. 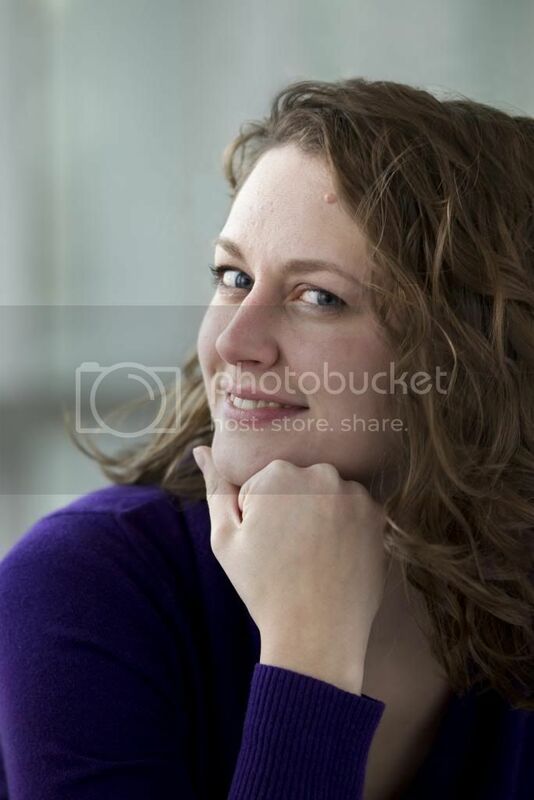 When she catches a spare minute, her hobbies include reading, knitting and music. She lives with her husband and four children in Utah. Two cover versions of the I, Spy song were released within a year. It would be over 30 years before another cover version was released. Thanks for participating in this launch tour! 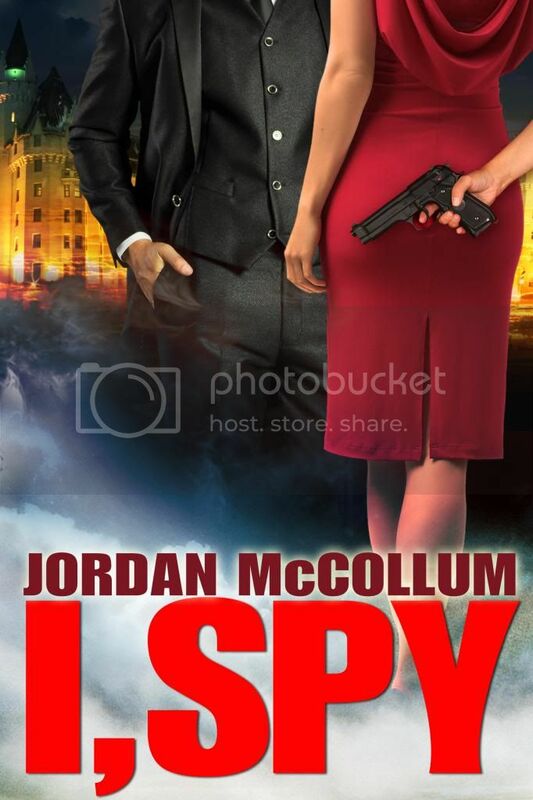 As a free gift this week, Jordan is giving out free copies of Mr. Nice Spy, an I, Spy prequel novella. Simply to go http://JordanMcCollum.com/store/. You can also get 40% off I, Spy! Do you just love this cover! It's fantastic! I love the emotion and the sense of impending doom. 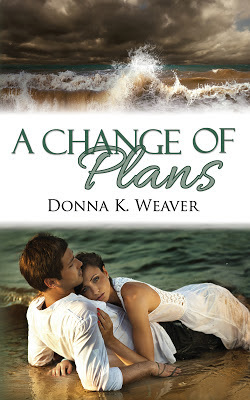 I'm tickled to be on the A Change of Plans blog tour for Donna K. Weaver. I can't wait to read this book. Pirates, romance, a cruise? Sounds like fun. When twenty-five-year-old Lyn sets off on her cruise vacation, all she wants is to forget that her dead fiancé was a cheating scumbag. What she plans is a diversion uncomplicated by romance. What she gets is Braedon, an intriguing young surgeon. He's everything her fiancé wasn't, and against the backdrop of the ship's make-believe world, her emotions come alive. Unaware of the sensitive waters he navigates, Braedon moves to take their relationship beyond friendship—on the very anniversary Lyn came on the cruise to forget. Lyn's painful memories are too powerful, and she runs off in a panic. But it's hard to get away from someone when you're stuck on the same ship. Things are bad enough when the pair finds themselves on one of the cruise's snorkeling excursions. Then paradise turns to piracy when their party is kidnapped, and Lyn's fear of a fairy tale turns grim. The Book Blogger's Cookbook passes 100,000 downloads, and ranked #2 on Amazon Free list today! I'm so thrilled! 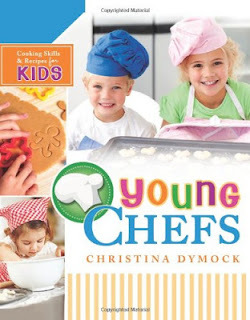 Today my little cookbook reached a distribution of over 100,000 copies! It currently is #1 on the Free Teens category on Amazon, and #2 overall Free on Amazon! Last week, for whatever reason, Amazon took my book off of perma-free. I was a little surprised, but ok with it, as the book has done well on promotion. Today I got an email from my sister-in-law, who saw The 2011 Book Blogger's Cookbook promoted on BookBub's daily mailing listing of promotional Amazon deals. The price had been dropped to free again, and somehow got picked up by BookBub. Well, I've sold over 20,000 copies in one day--pushing the distribution to close to 110,000 copies! What a great feeling to know that I've touched that many people's lives, even in a small way. 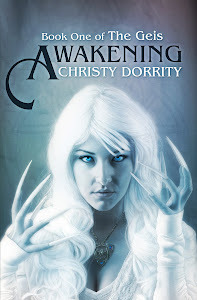 I'm getting ready to launch a publishing company and publish my debut YA novel, AWAKENING: THE GEIS. 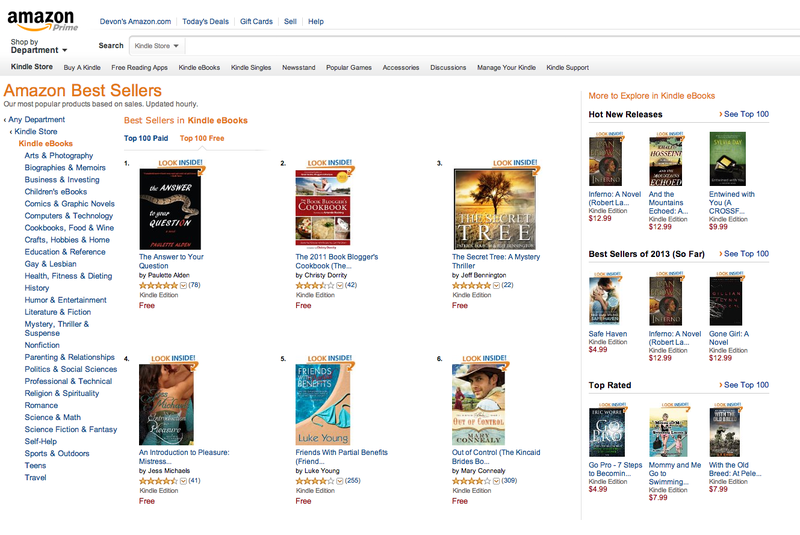 This makes me even more excited to be an Indie author!